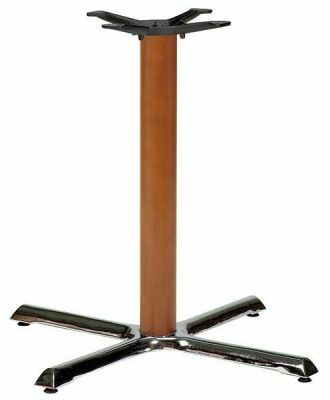 Large table base with a stylish round Beech column and four foot base in Chrome. Available from stock for a quick delivery. Supports table tops up to 1000mm square or round. High quality commercial table base with a large cross base and upper support, to hold a table top size of 1000mm square or round. This is a great value for money base with a unique design.